They were finally able to take Bunny to her forever home yesterday. 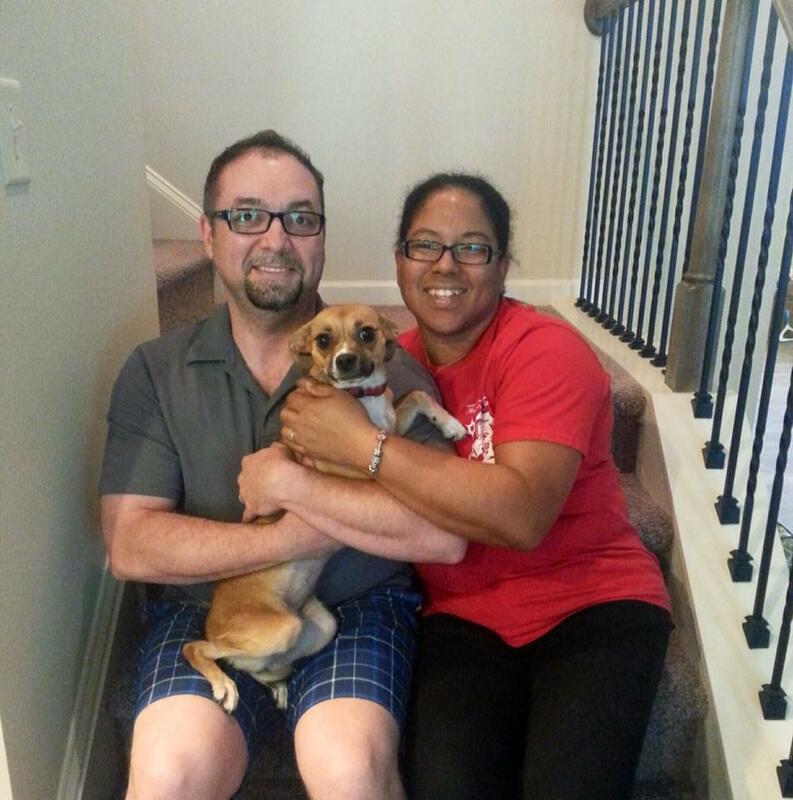 Carlos & Maria met Bunny at the adoption fair in Piedmont park and decided that day they wanted to be Bunny's forever family. They were in the process of closing on a new home. So, Bunny stayed with them a few extra weeks. They were all reunited yesterday in their beautiful new home. Bunny pranced around & went upstairs (on her own) as if she'd lived there forever! We are all so happy for this family and grateful to everyone for allowing the Releash Atlanta Team to assist in this wonderful union!